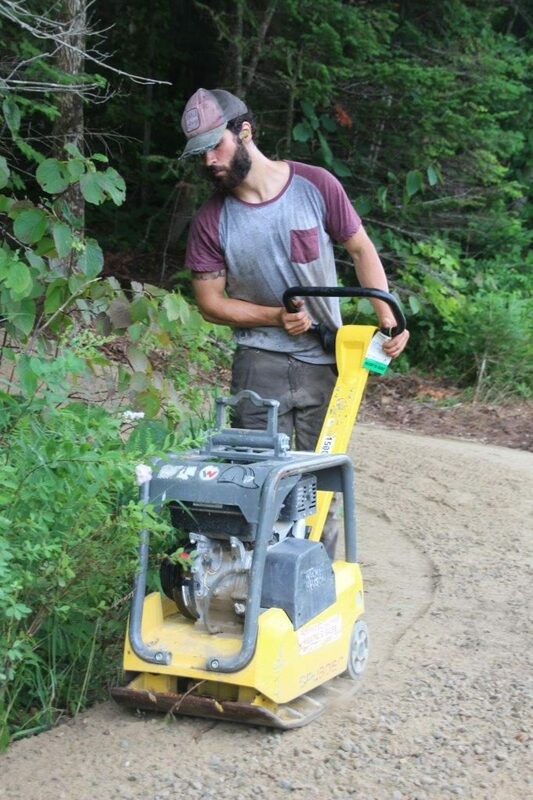 The past couple of weeks have seen a flurry of activity on the Community Forest with the construction of a new accessible trail to Rollo Fall. 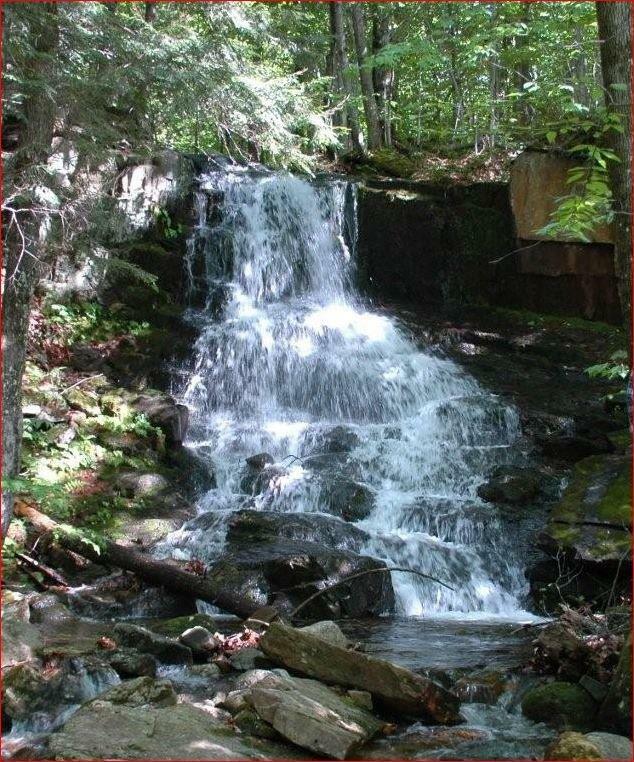 When the parcel of land containing Rollo Fall was graciously donated in 2015 to the Community Forest by Roberta Arbree and Robert Potter, many folks in the Randolph Community had never heard of Rollo Fall, which is located just east of the Bowman Divide, south of Rt. 2 and is situated at the headwaters of the Moose River. 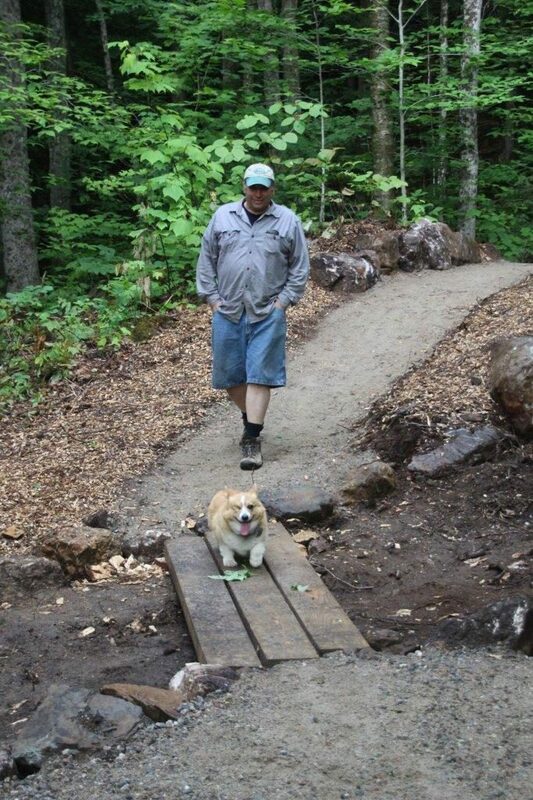 Once discovered however, it was soon decided that a walking trail that would make Rollo Fall accessible to young and old alike would be a great addition to the trail system located on the Randolph Community Forest. 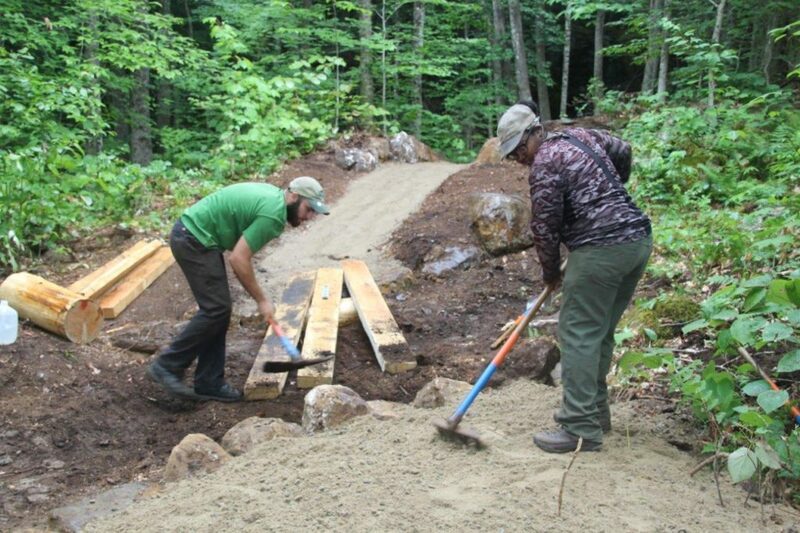 This past month the trail has been constructed by the Randolph Mountain Club Trail Crew and some local volunteers to ABA Trail Standards, being a gravel pathway at least 4 feet wide, and with a gentle grade from the parking lot at the Bowman trailhead all the way in to the Falls. 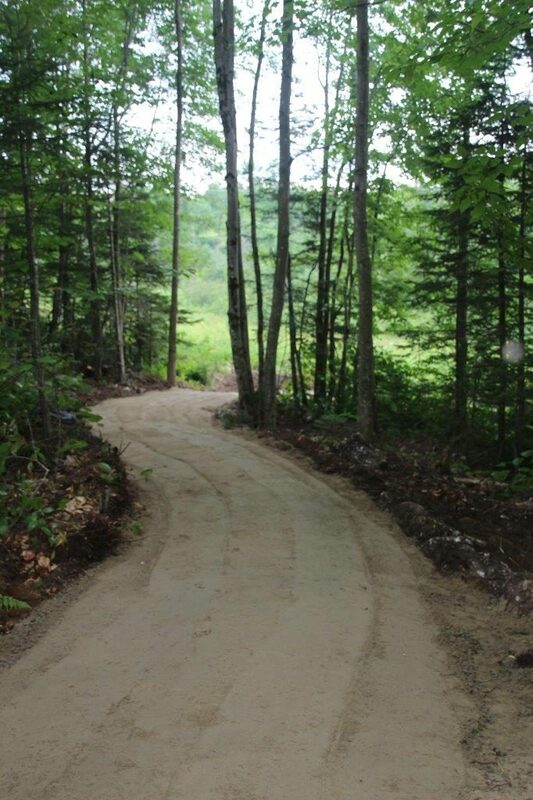 In constructing the trail, the surface duff and soil was excavated and put off to the side of the trail, erosion fabric was then laid onto the treadway, and 120 tons of crushed gravel was then installed over the fabric and compacted making a very smooth and firm walking surface. When large stones were unearthed, they were utilized to stabilize the downslope side of the trail and also used to protect the trail from erosion and stormwater runoff. 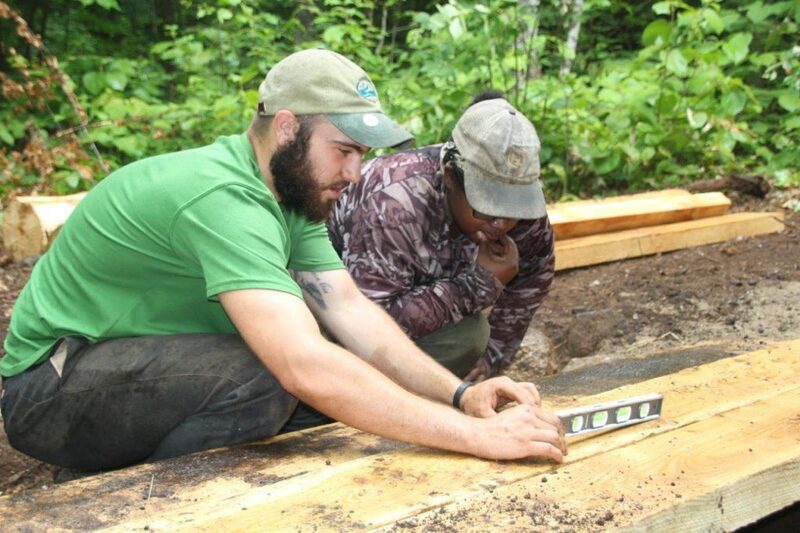 Near the end of the trail, a three-plank wide bog bridge was constructed to allow spring runoff to continue to flow naturally under the bridge and not impact the trail. Rollo Fall Trail: To get to the trail, park at the Bowman Trailhead and find the grassy logging road which is located just south of the rail trail. Follow this logging road which runs east and parallel to the rail trail for approx. 900 feet where it takes a sharp turn to the right (south). Continue along the logging road for another 700 feet crossing the pipeline and then the powerline. Once crossing the powerline, the trail makes a sharp turn to the right (west) and then shortly thereafter makes a turn to the left entering the woods. Upon entering the woods, the trail is now a compacted gravel treadway for almost the entire rest of the way with the exception of a wide bog bridge, just before entering the area of the Falls. Elevation Gain: Approximately 100 feet.Level of Difficulty: Easy walk for young children and others. 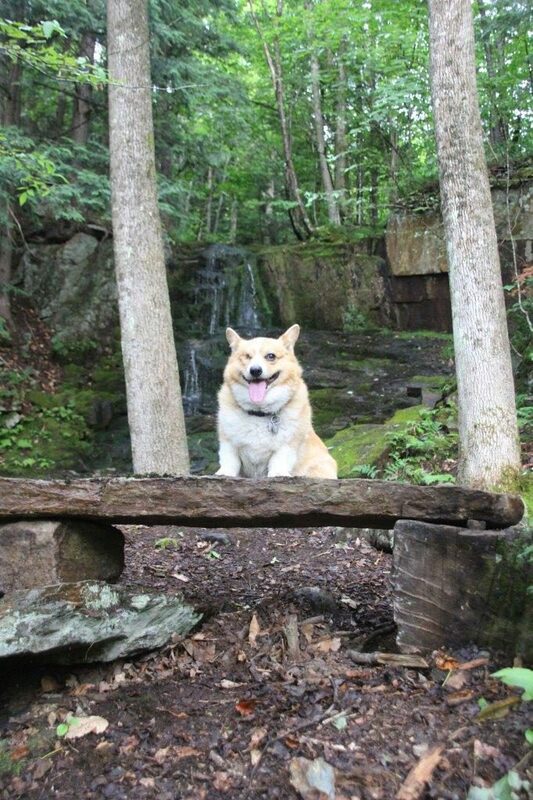 This bench is Corgi tested! 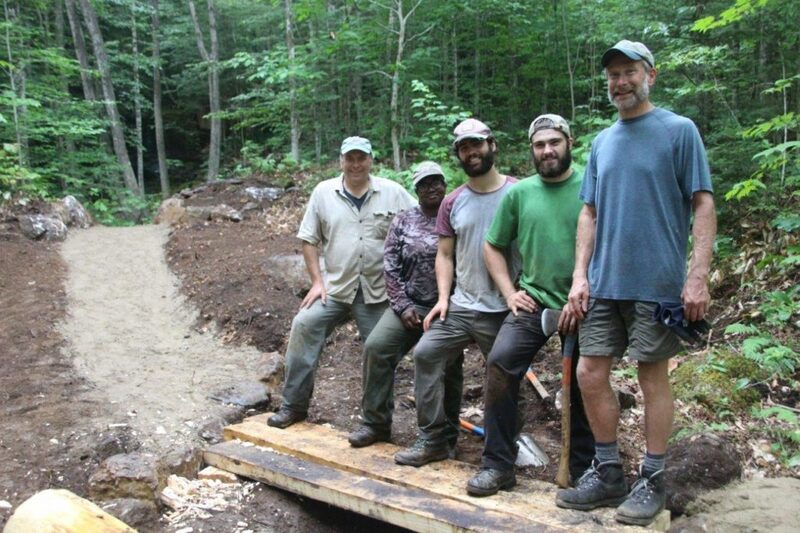 Trail building crew, left to right: John Scarina, Jaynae Hartridge, Austen Bernier, Brodie Holmes, and Jeff Wilson.